In this episode of Sound Design Live Podcast I talk with musician, synth expert, and social media addict Mark Mosher about creating compelling live performances with electronic music, music instrument technology, and how he gained thousands of twitter followers. Glad you enjoyed it! 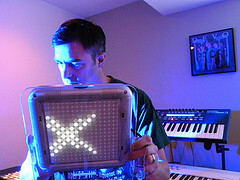 Check Mark’s site for lots of great information on Ableton Live.